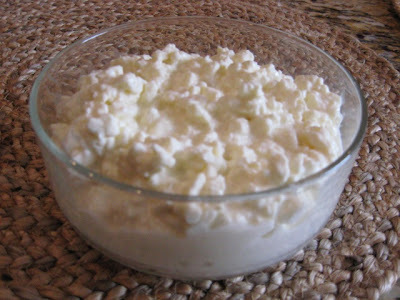 Yes, I made cottage cheese. 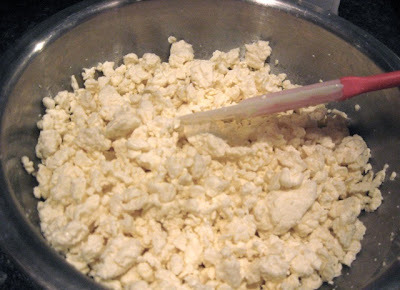 It looks like cottage cheese, it tastes like cottage cheese. I did it. And the best part is it wasn't hard. 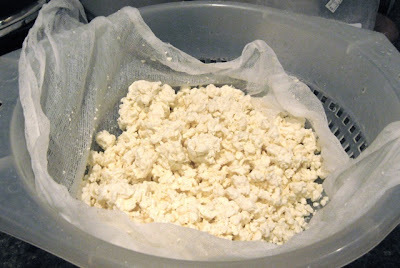 The mere thought of making homemade cheese was intimidating to me. I assumed it was complicated and required lots of fancy equipment. Mostly though, I was afraid it wouldn't turn out. 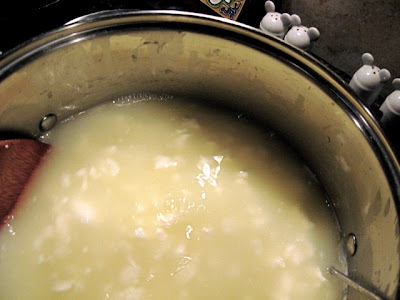 Many of us have never been around anyone, or watched anyone, make their own cheese. "... there are few mothers indeed who can be counted on to hand down the techniques of cheese making to the next generation." Now, I'm not picking on my Mother. She never learned either. So with the attitude of 'if it doesn't turn out I'll try again' I took on the challenge. 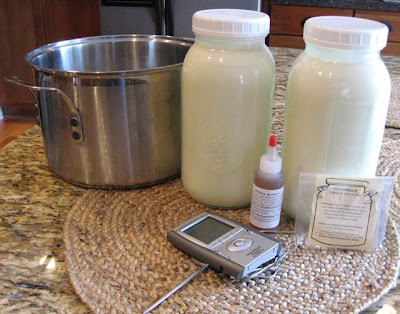 One large pot, one gallon of milk, a package of mesophilic starter, a few drops of liquid rennet, a thermometer, and I was ready to begin. 4-6 hours until it began to curdle. I then followed Ricki Carrolls' instructions and less than an hour later I had real cottage cheese.